A multistage (or multi-stage) rocket is a rocket that uses two or more stages, each of which contains its own engines and propellant. A tandem or serial stage is mounted on top of another stage; a parallel stage is attached alongside another stage. The result is effectively two or more rockets stacked on top of or attached next to each other. Taken together these are sometimes called a launch vehicle. 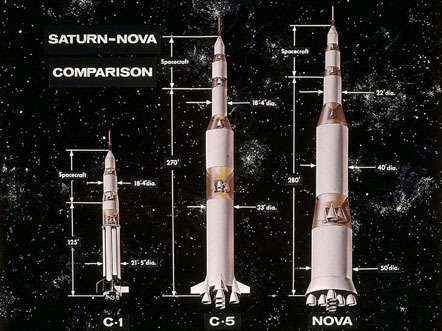 Two stage rockets are quite common, but rockets with as many as five separate stages have been successfully launched. By jettisoning stages when they run out of propellant, the mass of the remaining rocket is decreased. This staging allows the thrust of the remaining stages to more easily accelerate the rocket to its final speed and height. 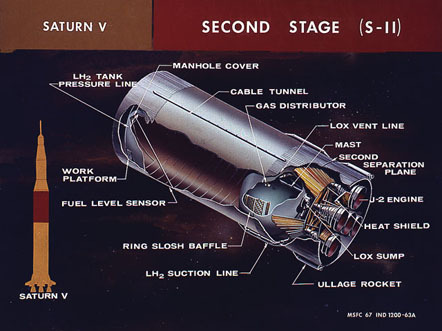 In serial or tandem staging schemes, the first stage is at the bottom and is usually the largest, the second stage and subsequent upper stages are above it, usually decreasing in size. 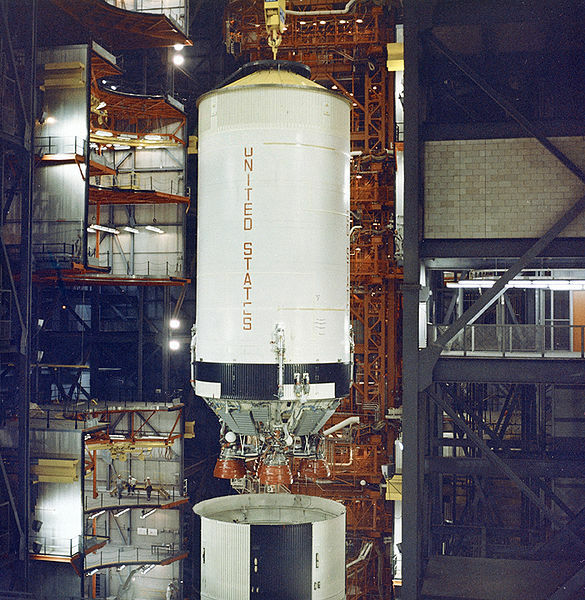 In parallel staging schemes solid or liquid rocket boosters are used to assist with lift-off. These are sometimes referred to as 'stage 0'. In the typical case, the first stage and booster engines fire to propel the entire rocket upwards. When the boosters run out of fuel, they are detached from the rest of the rocket (usually with some kind of small explosive charge) and fall away. The first stage then burns to completion and falls off. 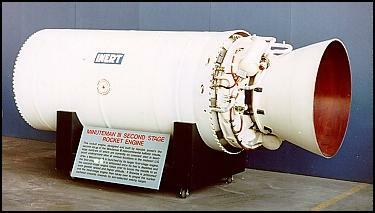 This leaves a smaller rocket, with the second stage on the bottom, which then fires. Known in rocketry circles as staging, this process is repeated until the final stage's motor burns to completion. 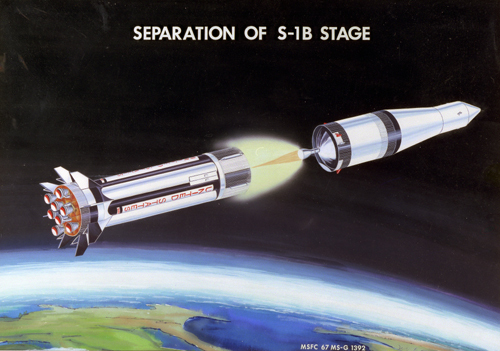 In some cases with serial staging, the upper stage ignites before the separation- the interstage ring is designed with this in mind, and the thrust is used to help positively separate the two vehicles. This is known as "fire in the hole". A two-stage Delta III with nine solid rocket boosters attached. The main reason for multi-stage rockets and boosters is that once the fuel is burned, the space and structure which contained it and the motors themselves are useless and only add weight to the vehicle which slows down its future acceleration. By dropping the stages which are no longer useful, the rocket lightens itself. The thrust of future stages is able to provide more acceleration than if the earlier stage were still attached, or a single, large rocket would be capable of. When a stage drops off, the rest of the rocket is still traveling near the speed that the whole assembly reached at burn-out time. This means that it needs less total fuel to reach a given velocity and/or altitude. A further advantage is that each stage can use a different type of rocket motor each tuned for its particular operating conditions. Thus the lower stage motors are designed for use at atmospheric pressure, while the upper stages can use motors suited to near vacuum conditions. Lower stages tend to require more structure than upper as they need to bear their own weight plus that of the stages above them, optimizing the structure of each stage decreases the weight of the total vehicle and provides further advantage. On the downside, staging requires the vehicle to lift motors which are not being used until later, as well as making the entire rocket more complex and harder to build. Nevertheless the savings are so great that every rocket ever used to deliver a payload into orbit had staging of some sort. In more recent times the usefulness of the technique has come into question due to developments in technology. In the case of the Space Shuttle the costs of space launches appear to be mostly composed of the operational costs of the people involved, as opposed to fuel or equipment. Reducing these costs appears to be the best way to lower the overall launch costs. New technology that is mainly in the theoretical and developmental stages is being looked at to lower the costs of launch vehicles. More information can be found on single stage to orbit designs that do not have separate stages. The upper stages of space launch vehicles are designed to operate at high altitude, and thus under little or no atmospheric pressure. This allows them to use lower pressure combustion chambers and still obtain near-optimum nozzle expansion ratios with nozzles of reasonable size. In many low pressure liquid rocket upper stage engines, such as the Aerojet AJ-10, propellants are pressure fed without need for complex turbomachinery. Low chamber pressures also generate lower heat transfer rates, which allow ablative cooling of the combustion chambers rather than more elaborate regenerative cooling. From an illustration and description in the 14th century Chinese Huolongjing of Jiao Yu is the oldest known multistage rocket; this was the 'fire-dragon issuing from the water' (火龙出水, huo long chu shui), used mostly by the Chinese navy. It was a two-stage rocket that had carrier or booster rockets that would eventually burn out, yet before they did they automatically ignited a number of smaller rocket arrows that were shot out of the front end of the missile, which was shaped like a dragon's head with an open mouth. This multi-stage rocket may be considered the ancestor to the modern YingJi-62 ASCM.The historian Joseph Needham points out that the written material and depicted illustration of this rocket come from the oldest stratum of the Huolongjing, which can be dated roughly 1300-1350 AD (from the book's part 1, chapter 3, page 23). The earliest experiments with multistage rockets in Europe were made by Austrian Conrad Haas, the arsenal master of the town of Sibiu, Transylvania (now in Romania) in 1551.
the ethnically German, Transylvanian-born Hermann Oberth. In 1947, Mikhail Tikhonravov developed a theory of parallel stages, which he called "packet rockets". In his scheme, three parallel stages were fired from lift-off, but all three engines were fueled from the outer two stages, until they are empty and could be ejected. This is more efficient than sequential staging, because the second stage engine is never just dead weight. In 1951, Dmitri Okhotsimsky carried out a pioneering engineering study of general sequential and parallel staging, with and without the pumping of fuel between stages. The design of the R-7 Semyorka emerged from that study.